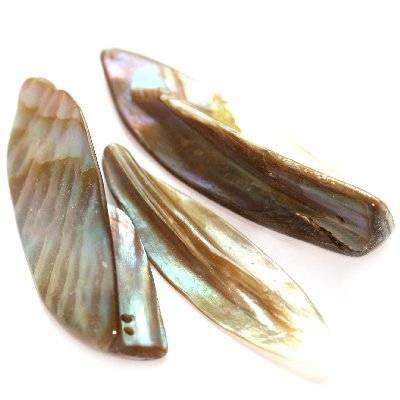 Mother of pearl arrows in irregular shapes and different sizes. Each piece is unique and has various patterns and shades. Arrows differ in size and thickness.